November is a time when you step in the chilling winter. But this November is going to get extra chilling and thrilling too! 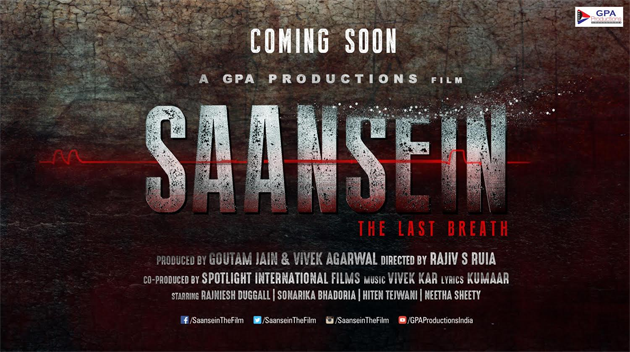 As the upcoming horrance (horror romance) Saansein – The Last Breath is set to scare the living daylights out of you! The spooky romantic fare is arriving on November 11, 2016 to send the chill down your spine with lead actors 1920 fame Rajniesh Duggall and Sonarika Bhadoria, who shot to fame with TV show ‘Devo Ke Dev Mahadev’ by essaying the role of Parvati. Besides, the film also features Hiten Tejwani, Neetha Shetty, Sachi Ruia, Amir Dalvi and Vishal Malhotra. Shot in the exquisite locales of Mauritius, the film is directed by My Friend Ganesha fame Rajiv S Ruia and produced by GPA productions. So gear up for a petrifying winter ahead! 15 queries in 0.450 seconds.